Removal ProcedureRemove the oil pan. Refer toOil Pan Replacement.Remove the cylinder head. Refer toCylinder Head Replacement. 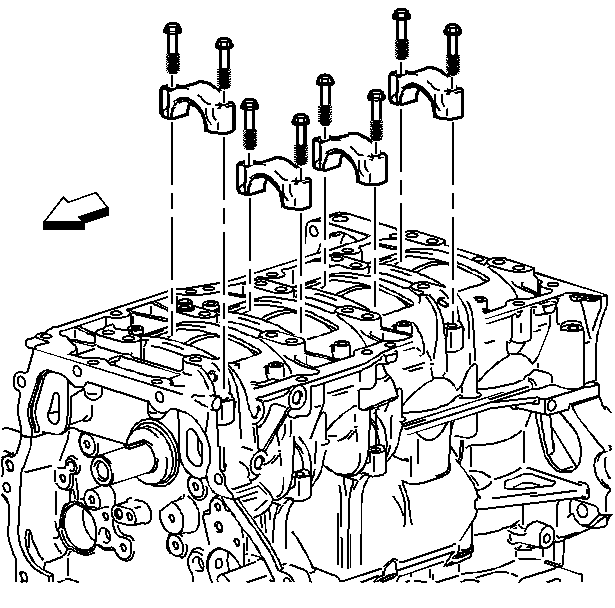 If a ring ridge is present, remove the ring ridge asfollows:Turn the crankshaft until the piston is at the bottom of thestroke.Place a cloth on top of the piston.Use aEN-24270reamerto remove the ring ridge.Turn the crankshaft so the piston is at top of thestroke.Remove the cloth and cutting debris. Note:Place the numbers on connecting rods and the connecting rodcaps. 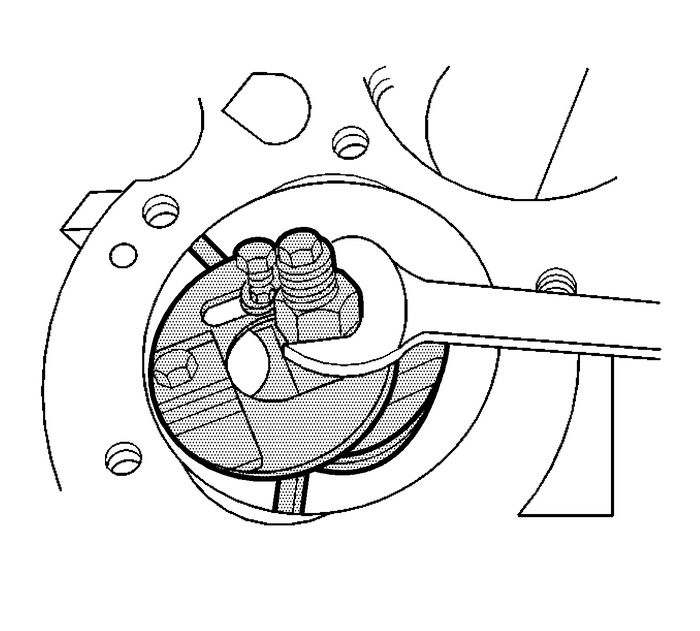 The connecting rod caps must be assembled to their originalconnecting rods. 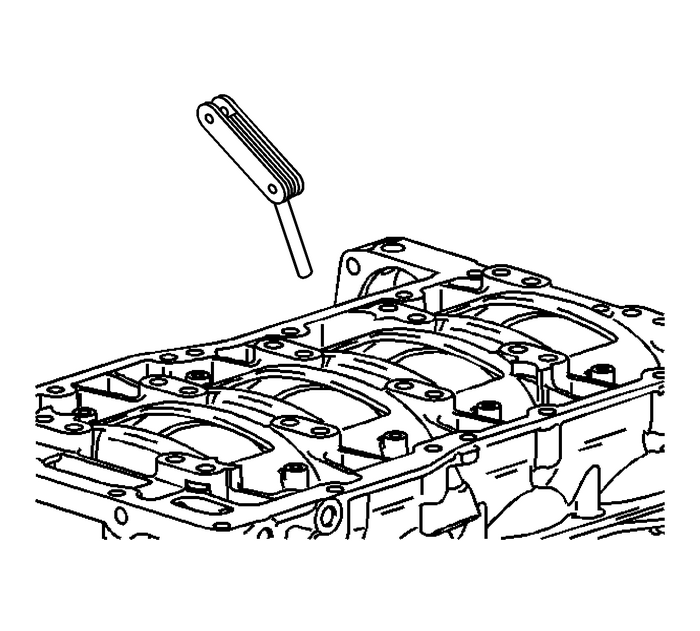 Remove the connecting rod nuts and the connecting rodcap. Discard the bolts and nuts. 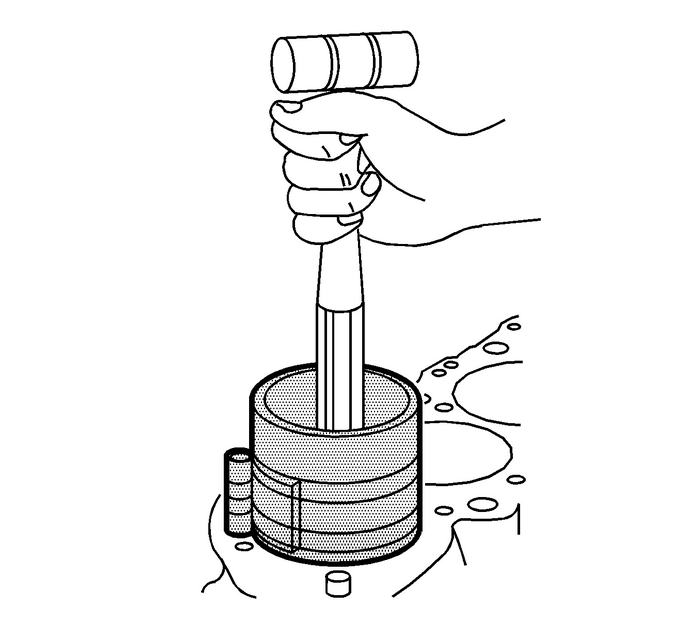 Install the piston into its original bore using theEN-43966-1guides. 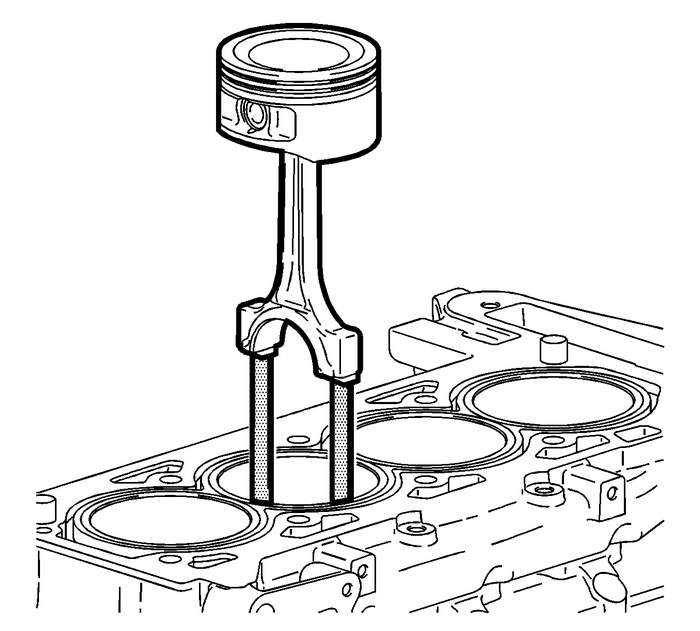 Lightly tap the top of the piston with a wooden hammerhandle.When installing the piston and the connecting rod, thestamped mark on the piston must point to the front of theengine.Hold theEN-8037compressorfirmly against the engine block until all the piston ringshave entered the cylinder bore.Install the connecting rod caps onto their originalconnecting rods.Align the numbers placed on the connecting rod and theconnecting rod cap during removal. Install the new connecting rod bolts and nuts.On the first pass, tighten the nuts evenly to25-Y(18-lb-ft).On the final pass, use theEN-45059meterin order to tighten the nutsan additional100-degrees. Measure the connecting rod side clearance with a feelergauge. The correct clearance is 0.070–0.370-mm(0.0027–0.0145-in). Install the cylinder head. Refer toCylinder Head Replacement.Install the oil pan. Refer toOil Pan Replacement.